Dragonflies have a special fascination for many folks which has resulted in dragonfly folklore around the world. Something about this iridescent, winged creature compels us towards a longing to understand the meaning of dragonfly. Out of this longing has arisen the legend of the dragonfly amongst people in diverse cultures. Some of these dragonfly myths may be true, some not. But the power of this transformational insect to attract such myths and legends speaks volumes of the mystery surrounding the Odonata species. Growing up on a farm, I sometimes went fishing with my Dad in one of our ponds. In summertime, we were often accompanied by swarms of dragonflies. My Dad said an old timer told him that swarms of dragonflies meant rain coming. I recall a few times it did indeed rain, but I cannot say for sure it always did when the dragonflies gathered. Once a dragonfly landed on my fishing pole. My Dad told me to make a wish, but before I even had time to make one, I had caught a fish. Maybe catching a fish was my wish! 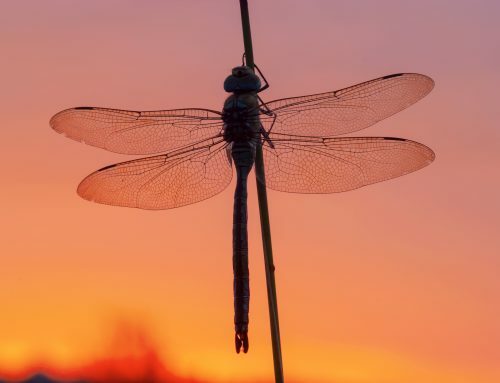 Country tales in Appalachia spoke of the dragonfly as the carrier of dreams, as do the Native Americans, and if you make a wish when a dragonfly appears to you, it will come true. Dragonfly myths and legends are abundant wherever you go in the world. In some parts of this country, people refer to dragonflies as “mosquitohawks” because they dine on so many of these annoying, and disease carrying, insects. I attended a camp in North Carolina as a girl, and many times I heard dragonflies called “snake doctors”. I was told it was because the dragonflies were not afraid of snakes, sometimes seen perched atop a snake’s head and the snake appeared to be in a trance, as if under the dragonfly’s spell. 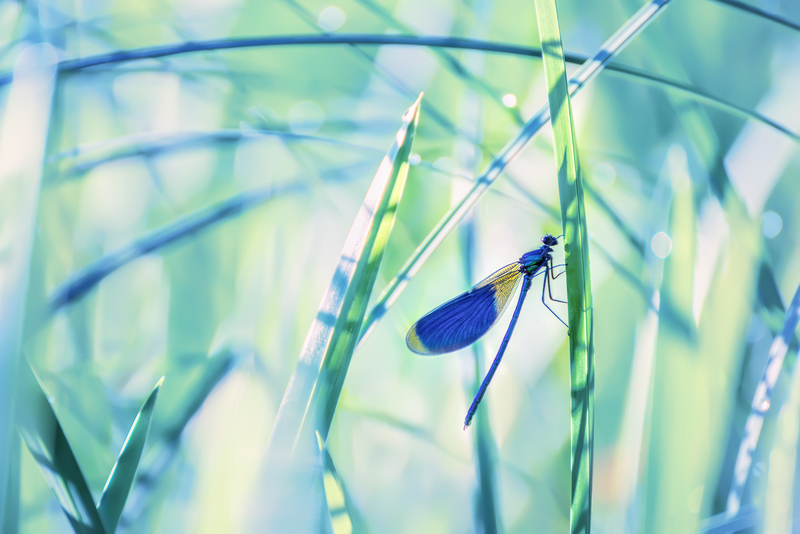 When I lived in New Mexico, I often heard Native American myths about dragonflies. It was easy to start up a dragonfly conversation at the Indian Market where so many pueblo pots were adorned with the dragonfly. The Zunis in particular have strong dragonfly lore they honor with their painted and woven dragonfly motifs. The coming of the dragonflies in summer when the corn tassels bloom signifies the continued blessings for the Zuni grounded in their dragonfly myths. In many European cultures, however, the dragonfly is associated not with blessings, but with evil. In Sweden, it is believed the presence of the dragonfly around you indicates impending injury or tragedy. Various culture’s language may play a part in this dark dragonfly symbolism. In Romania, the word “drac” means both dragon and the devil, and when combined with folklore, can easily result in evil implications for the dragon-fly. The dragonfly’s life lived in and around the water has also born it other names such as “water nymph” and “water spirit”. Numerous European legends refer to a horse growing wings to become dragonfly, and thus the dragonfly has been designated horse related names like “golden horse” and “little horse”. Perhaps the one country in which the dragonfly has the most powerful legends is Japan. 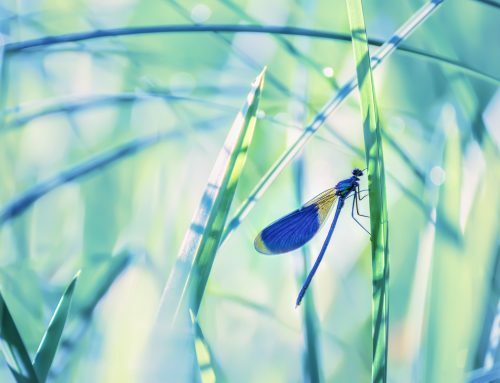 One of the oldest names for Japan was the Island of the Dragonfly while the dragonfly is an emblem for this country known as “invincible insect”. It is said Japanese warriors in the 17th century adorned their helmets with the dragonfly motif to bring them strength and protection. The Japanese believe dragonflies bring good fortune, and much of their folklore involves the gifts bestowed by the dragonfly essence. Red dragonflies, considered sacred, abound in great numbers during the autumn months in Japan while some of the most rare species of dragonflies can be found there. 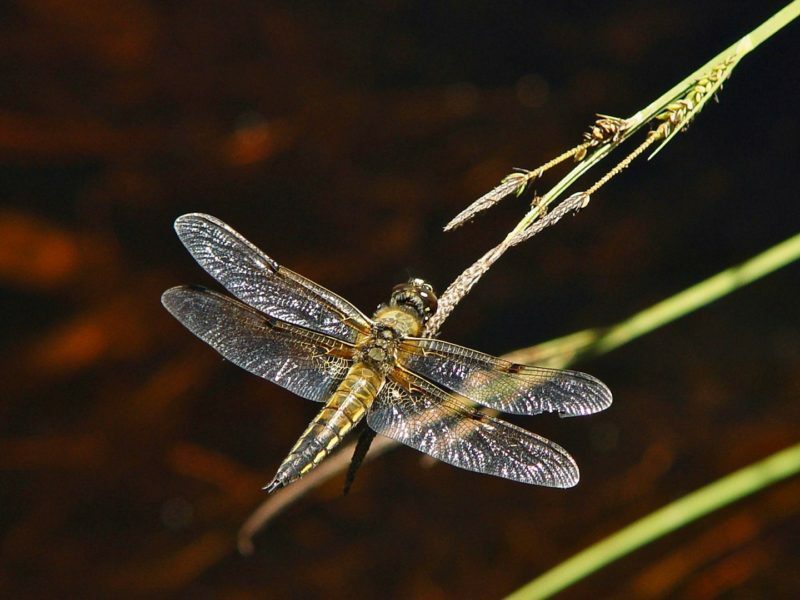 Only one dragonfly species spans the entire world as its geographic range. It appears in large numbers on a date known as August Spirits of Ancestors, and the dragonflies are considered to be the winged mounts on which the ancestral spirits return. 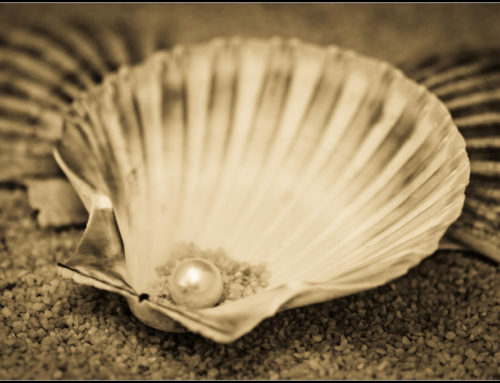 This date in August is also deemed a most sacred day to Buddhists. 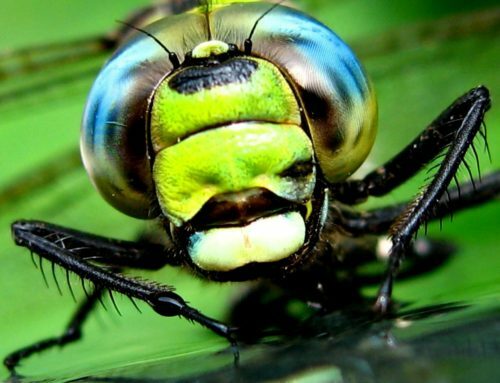 Dragonflies have had a presence on planet Earth millions of years before the dinosaurs. 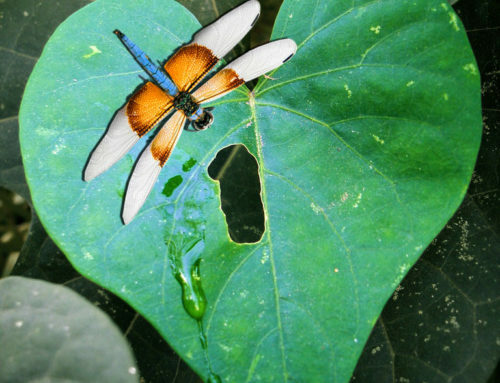 Their lineage is considered to be one of the oldest among the insect species. They carry on their wings some kind of magic not apparent in other insects. It was my own mystical and intensely magical visitation by dragonflies one summer night in 2011 that awakened me to their powerful essence. I believe dragonflies appear to us at different times, in different ways, for different reasons, but they bring a message nonetheless. Our interpretation of this message is usually personal, though dragonfly swarms appearing to swarms of people would be a collective message. 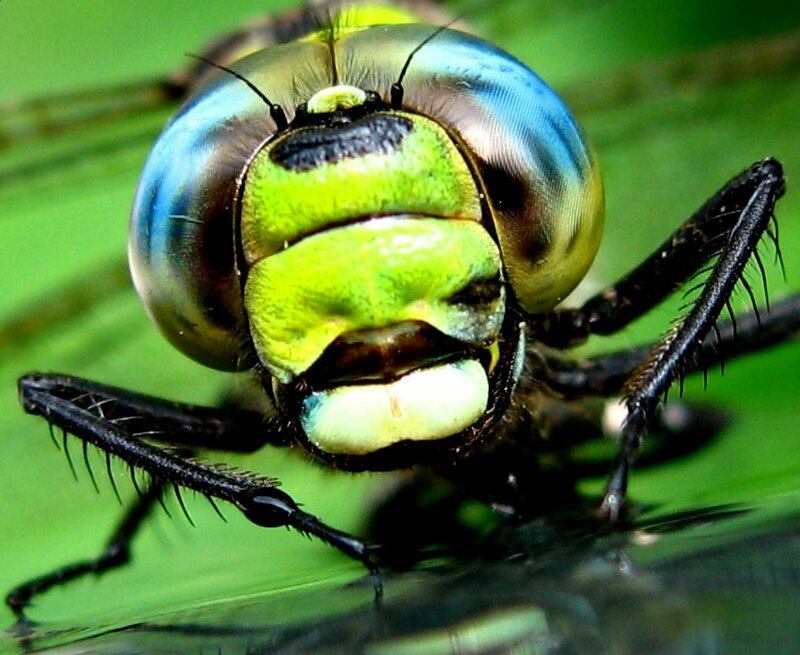 These unique translations, both personally and collectively, explain the many diverse dragonfly legends and myths from around the world over the centuries. Dragonfly continues to bring messages today. 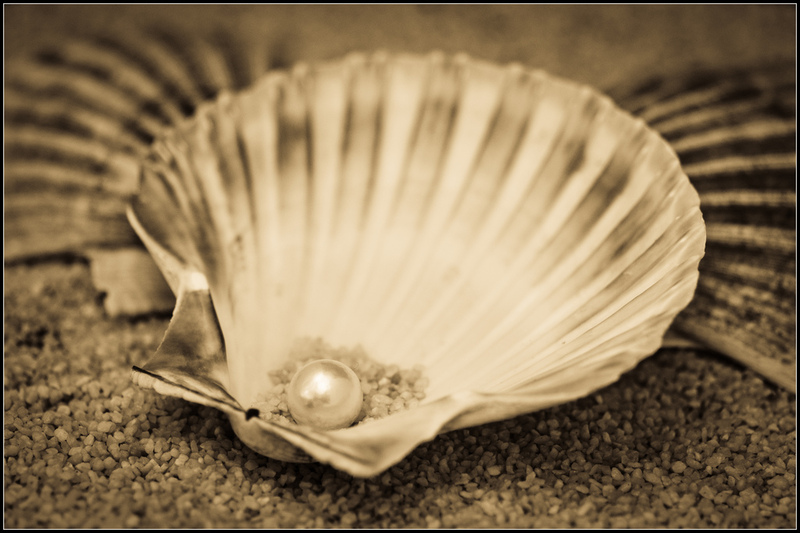 It is bringing a collective message to us now that humanity must heal its emotional wounds and return to living from the heart. 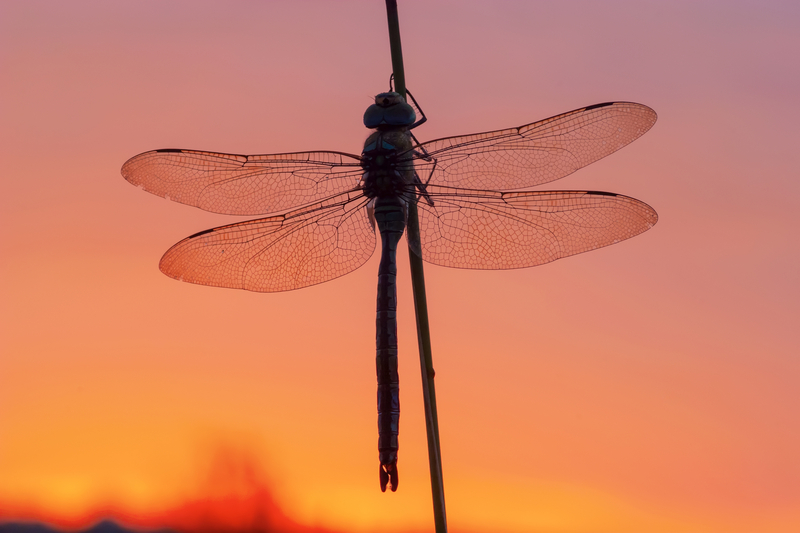 The legend of the dragonfly will continue to live on in the voices, hearts and souls of all those who can hear its message when this ancient, mythical insect flies by. The dragonfly’s powerful and unique metamorphosis is a metaphorical message for the transformation humanity must now undergo. 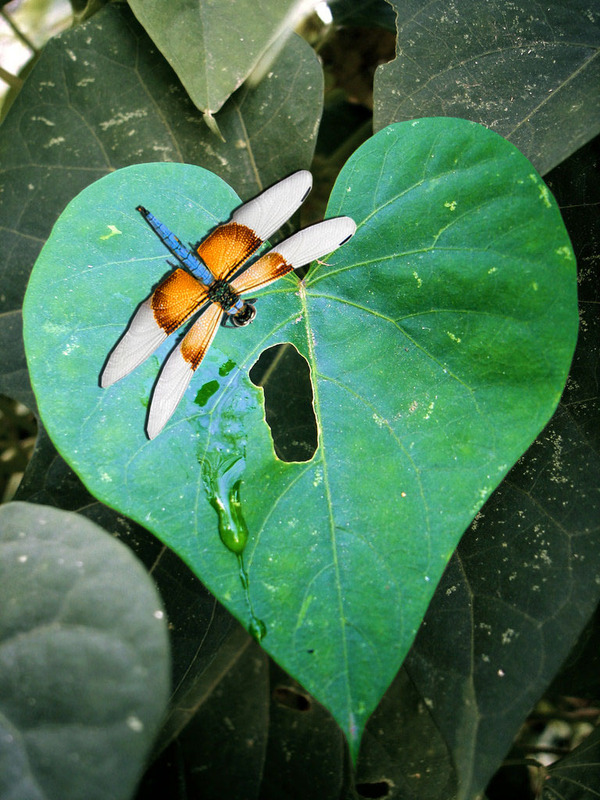 Read the heart filled stories of those being touched by dragonfly today.